Rioting and family refusal highlight burial of Hamas terrorist, after he “brought honor to family” by murdering baby and 22-year-old. The mother of Abdelrahman Shaludi, the Hamas terrorist who last Wednesday murdered three-month-old Chaya Zisel Braun HYD and 22-year-old Karen Mosquera HYD with his car in Jerusalem, is a “martyr” according to his mother. Shaludi’s family raised a ruckus after police limited the number of attendees at the terrorist’s Sunday night funeral at the feet of the Temple Mount to 20, and had the burial be held late at night. The steps were taken to avoid violent Arab rioting, which occurred before the funeral in any case, as Arab residents of the Shiloach (Silwan in Arabic) neighborhood where Shaludi hails from clashed with police outside the dead terrorist’s home, as the family then refused to begin the funeral. The Almagor terror victims’ organization had protested returning the body of the terrorist, who was shot as he tried to flee the Ammunition Hill light rail station where he plowed his car into a group of pedestrians. The group pointed out that there are two fallen IDF soldiers, Hadar Goldin and Oron Shaul HYD, whose bodies are still being held by Hamas after the last operation, and being used to negotiate the release of hundreds of terrorists. 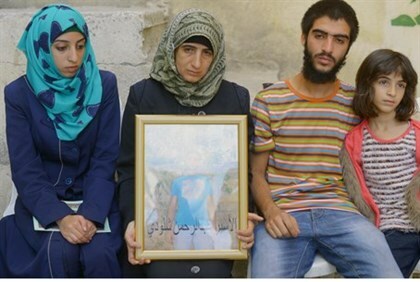 Meir Indor and Dr. Aryeh Bacharah, heads of Almagor, argued that Israel should have placed a condition on the return of Shaludi’s body, demanding that the bodies of its fallen soldiers be returned in exchange for the body of the Hamas terrorist. Terror victims’ group slams president for mentioning Jewish baby’s murder at memorial for Arabs shot in 1956. 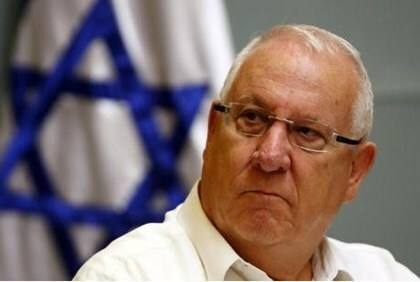 Terror victims’ organization Almagor is angry at President Reuven Rivlin for invoking the murder of baby Chaya Zisel Braun—who was run over by an Arab terrorist Wednesday—at a memorial ceremony for the Kafr Kassem massacre of 1956. “There is no comparison between a single act in Kafr Kassem, which occurred many years ago, and the ongoing terror from the Arab side. Nor is there equivalence between the Jewish side, which prosecutes and denounces the isolated acts of revenge, and the support of the Arab leadership for terrorists, whom they call freedom fighters,” the fathers said. Yossi Tzur, bereaved father of 17-year-old terror victim Assaf HYD, slammed the Justice Ministry for refusing to share a list of which of the 1,027 terrorists released in the 2011 Gilad Shalit deal have returned to terror. Speaking to Arutz Sheva, the bereaved father and member of the Almagor terror victim organization’s bereaved parents’ forum said that Almagor intends to hold its third memorial of the Shalit deal next week. “The Justice Ministry needs to show sensitivity, this angers us; we aren’t regular citizens but rather the victims of crime. For most of the families the day of the release has turned into an awful day—the experience of the terror attack returns to us,” Tzur explained. In response to an inquiry, the Justice Ministry noted its close contact with Almagor before claiming it had not refused the group’s request for information. It confirmed that the office of the director general of the ministry had received the request and passed it to the freedom of information department to deal with the issue in accordance with the law. Numerous terrorists released in the Shalit deal have already returned to terror, most notably Ziyad Awad, who murdered police Chief Superintendent Col. Baruch Mizrahi HYD in April while aided by his 18-year-old son Az a-Din. There are around 63 terrorists freed in the deal who have been re-arrested; according to reports the terror group Hamas may be on the verge of sealing a terrorist swap deal to have them and hundreds of other jailed terrorists released in exchanged for fallen IDF soldiers Hadar Goldin and Oron Shaul HYD, as part of the Cairo truce talks.